Current identified deployments listed alphabetically. 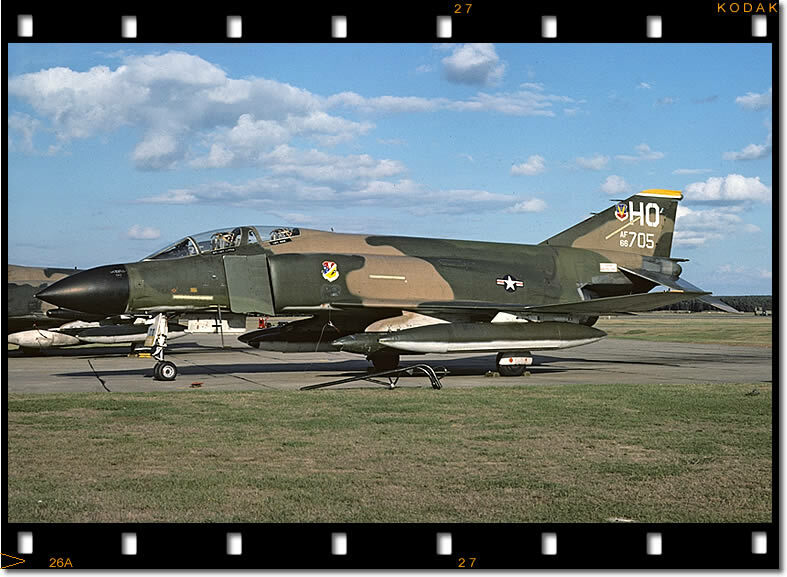 Visiting RAF Lakenheath in September 1975 is F-4D 66-7705. Part of the 8 TFS, 49 TFW 'Crested Cap' deployment to Hahn AB. Coronet's, Crested Cap's & Salty Bee's now covers many pages of deployments, but searching for a particular piece of info means browsing through 30 odd pages and collating the info - for example, how many times the 76 TFS deployed and where to - is not that easy. Well that is where the following pages might come in useful. On this page you will find a complete listing of all named deployments (plus links to them on the main pages), a list of all bases that have hosted deployments/links to the relevent deployments and a glossary of common abbreviations used through out this article. The Unit cross-references are located on seperate pages and are organised by Major Commands. Each table is organised in Wing order and comprises, Squadron, Aircraft, Deployed base, and dates (plus of course links to the deployment pages). Also recently added to the article is a Google search facility (on the main Coronet Page). This not only covers the Coronet articles but the whole site as well. I have found its quite good at locating particular serials etc. All other deployments which have an identified name.